The weather 5 years ago was pretty much the same as it is out this morning. Sunny but a little cool. This was going to be one of those life changing days. I was about the marry the man I loved, the man I loved from the moment I set eyes on him. The day went by very quickly, but without any problems. 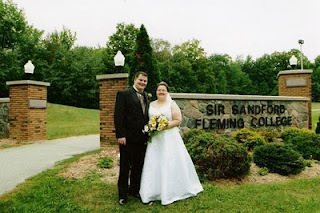 We were married in a beautiful church in Peterborough Ontario, and had our pictures across the road below the court house. 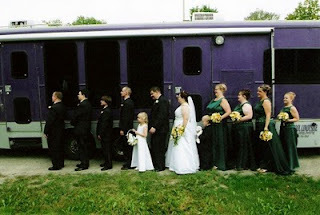 To this day, I still believe one of the best things we did was rent the "big purple bus". 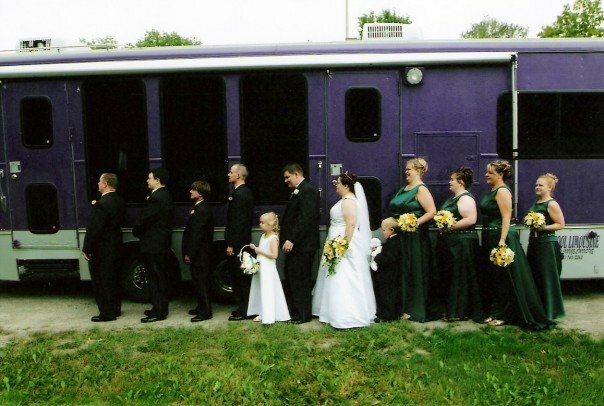 It is a limo bus and it fit my entire wedding party. So fast forward 5 years. We may not have kids yet, but we do have our own house now, both of us are in jobs we enjoy, and both of us are enrolled in the CGA program to further our education. We have lost my gramma and Blair's father, but they exist in our weddding pictures and always will. Today is a work day like any other, but tonight we are planning on going for dinner at a nice Restaurant in town. We are taking a cab so I can enjoy some wine as well. Last weekend I attended the Knowledge and Needles open house. This event is extra special to me becuase it was this open house last year that my life changed again. I met Ann and she introduced me to an amazing bunch of ladies. From last August, I can only think of 3 months that I did not see even one of them...and that could be wrong because I might have visited the shop. For pics of the open house please go to the blogs of Ann, Dani, Beatrice, and Kathy. I did take my camera, but I only got a couple of pics and haven't put them on my computer yet. No pics of any of my WIP's either. I did work on Paradigm Lost at the open house, but didn't get too far. One thing I have started is the dragon/wizard for my husband, and I actually worked on the scarecrow girl for my mom last night. Hopefully after the weekend I will have a better stitching update. Many Happy Returns to a wonderful Life Changing Day. Here's to the two of you and all of your accomplishments but keep your fork Bonnie, the best is yet to come. 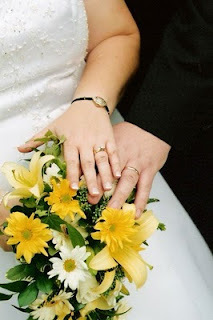 Lovely wedding pictures. Happy Anniversary and much happiness always. It is nice to welcome you into our stitching "cult". You are a great addition. Happy Anniversary to you both hon. And - you have become a wonderful treasure in our lives! Happy Anniversary! Glad you've found such a fantastic bunch of stitching friends! Happy 5th anniversary, thanks for sharing the wedding pics. 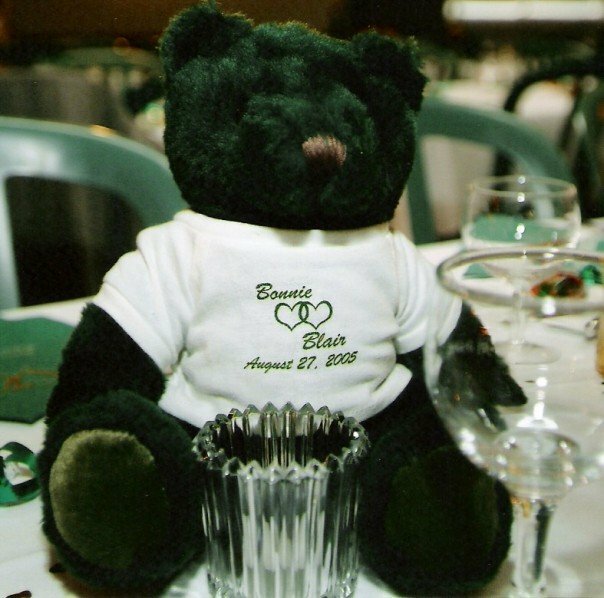 I hope your dinner date was memorable too...your wedding photo's are so pretty.